Bill Murray’s portrayal of the spaced-out greenskeeper Carl Spackler in Caddyshack is classic and so is the apparel in his new line of William Murray Golf clothing. You won’t go wrong with one their polos styled in classic lines with modern, even a bit edgy, details. 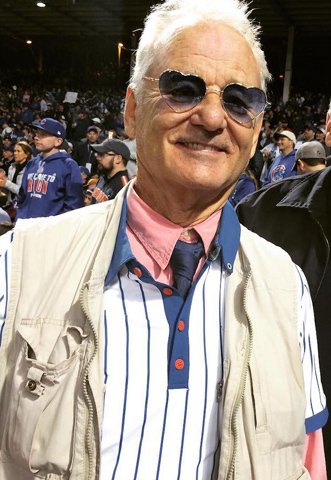 Murray, a lifelong Chicago Cubs fan, even came up with a pin stripe polo mimicking the World Series Champion’s uniform. Moisture wicking and wrinkle resistant, it sells for $75 at WilliamMurrayGolf.com. Specially designed for the Birdies for the Brave and Navy Seals, the Patriot VS headcovers from Stitch Golf make a dashing statement as well as displaying your patriotism. Entirely made of leather in the U.S. they are water and stain resistant but best of all they really stay on the clubs, either carrying or carting. A set of three—driver, 3-wood and 5-wood—is $125 at StitchGolf.com. Carrying a ball marker and divot repair tool is something we all do and are forever fishing in a pocket to find one or the other or both. 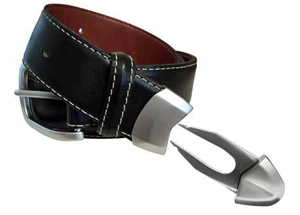 A neat good looking solution is the belt from KenRick Golf that holds them at your fingertips at all times. The divot tool slips into the belt end and the marker is held by a magnet on the back. Lots of styles and colors available from $59 at KenRickGolf.com. Cooler weather tends to empty courses of players but golf can still be fun provided you are dressed for it properly. 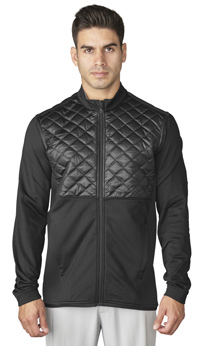 Take a look at the Climaheat Prime Quilted Zip Jacket ($150) from adidas. Filled with insulation made of hollow-core fibers that retain body heat yet dry quickly. The front and back panels are quilted, cuffs and bottom hem have elastic binding and the two front pockets are zippered. In a choice of three color combinations at adidasGolf.com. Kentwo ol socks for golf have to be worn to be believed. They are made here in the U.S. from wool blended with stretch nylon, Spandex and bamboo fabric and are long wearing. They are cool and wick perspiration away but best of all is they are comfortable. Period. 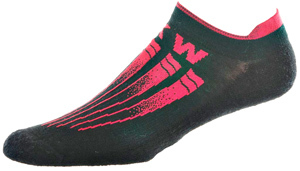 There’s a variety of lengths, colors and patterns but we especially like the basic Pro Light model which is priced at $20.95 per pair on Kenwool.com.